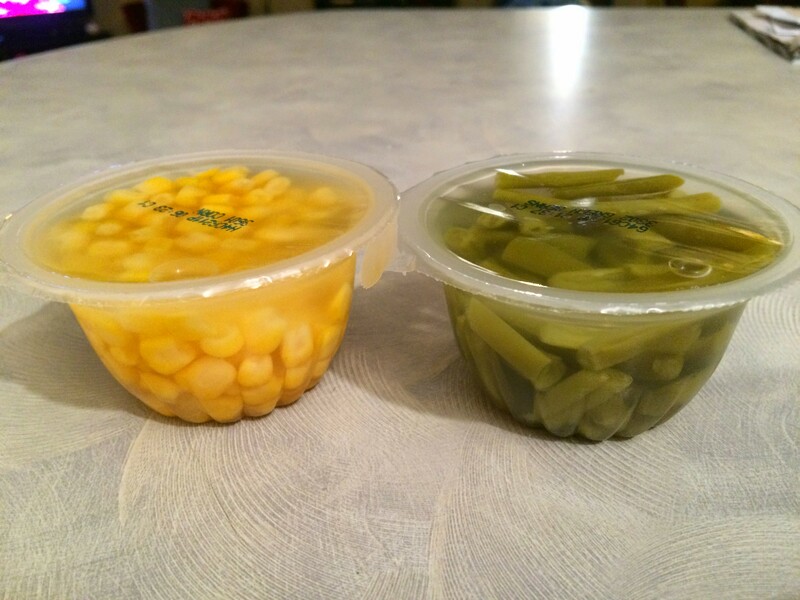 This is what my life has come to – individual cups of green beans, shelf-stable, single serving. SIGH. Pause with me for a moment, internets, while we really feel the sads. Ok, are we done? I’m done, because actually, as you can see, these things are awesome for your diet! They’re next to no calories, and they’re totally friendly for desktop dining, particularly if you lack refrigeration at your workplace (sorry). 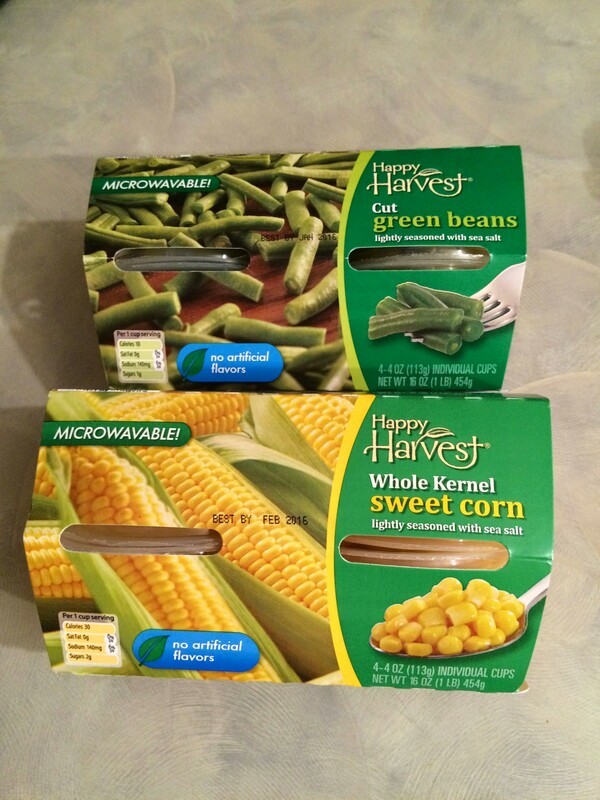 The green beans are 10 calories per serving, the corn is 30. 0 points. Each has 140 milligrams of sodium. Is that a lot? I don’t know. They’re kind of pretty perfect, if you ask me. 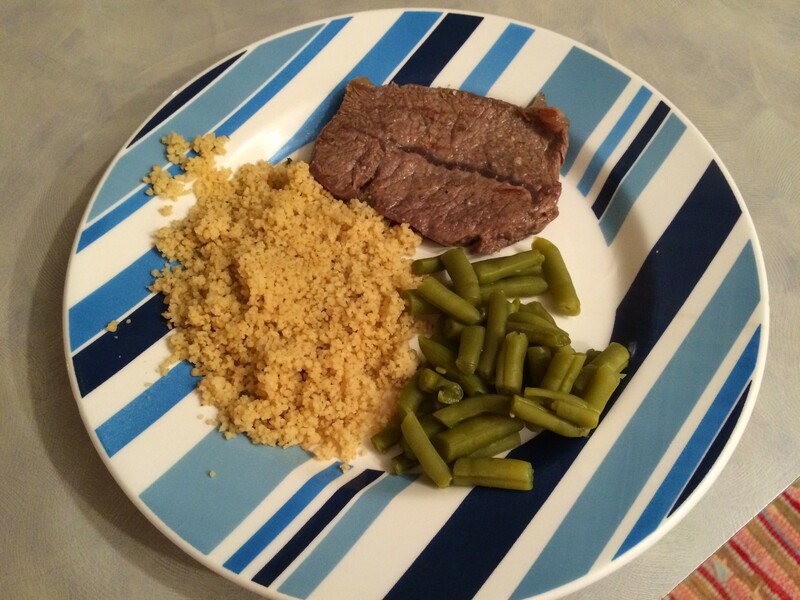 They tasted like (drumroll) green beans, and maybe just a hint classier than those in a can. I’m going to throw the whole lot of them in my train bag for this week at work. And…if there’s a fuzzy or two in there, I may just have the strength to pick it out. Maybe.